Both the weather and fishing were excellent this week. 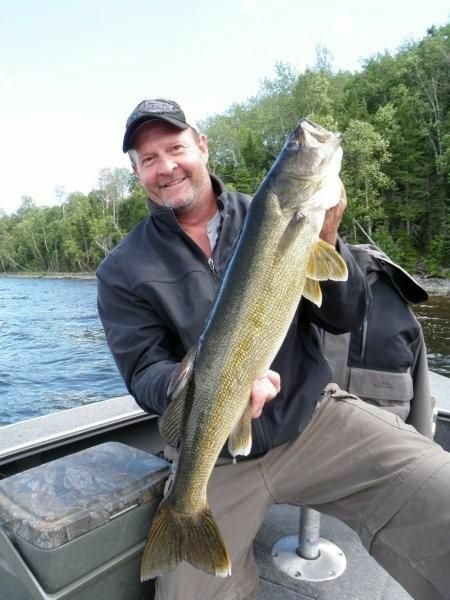 We are still fishing several different types of areas each day for walleyes, but the results have been consistently good from both the shallower water, sand, weed transition spots all the way out to the main lake deeper sand breaks. 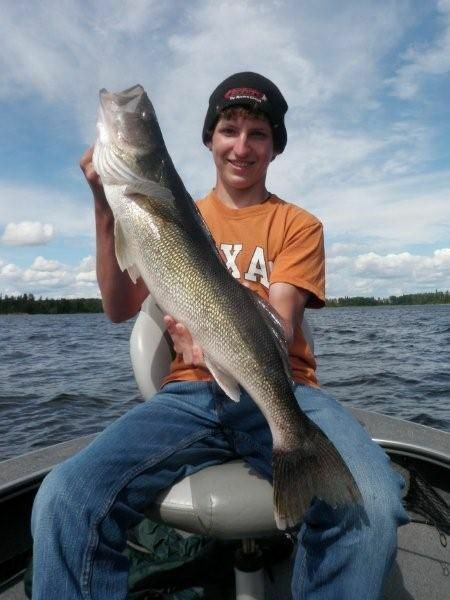 Surprisingly, there were just as many big walleyes caught in 8 – 12 ft. as there were caught from 22 – 30 ft. 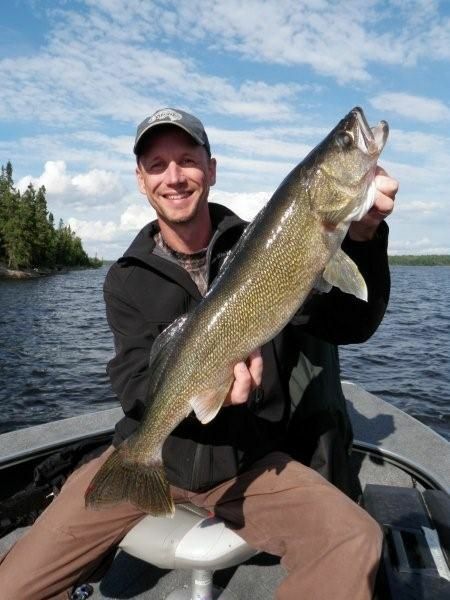 Earlier in the week we had some warm, sunny days that triggered a shallow water weed bite for walleyes. At the peak of that bite, we caught many of our biggest fish “rip jigging” plastics on the sand flats in front of the weeds. You could still catch fish with standard ¼ oz. jig and minnow combos, but the big gulp alive and larger plastics with a 3/8 oz. 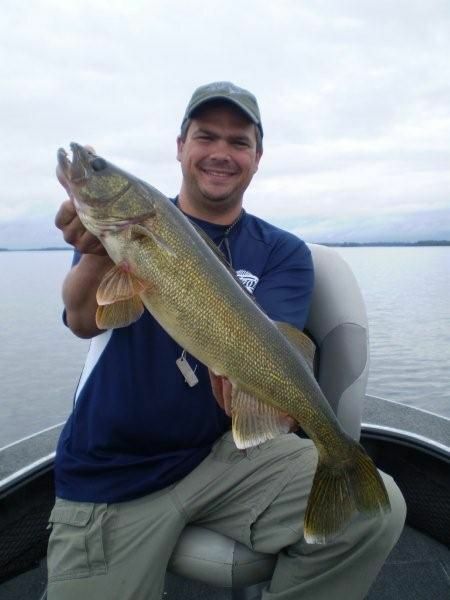 jig retrieved with a very aggressive popping action consistently triggered the biggest walleyes. It takes a leap of faith to devote time and effort to this presentation, but as soon as it works one time, guys are hooked. 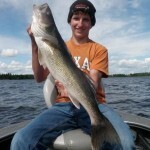 It is the most exciting way to catch big walleyes that I know. You will miss some little fish that grab the tail, but when big walleyes commit and hit, it will jar you. The shallow water “rip jigging” bite dissipated as the week went on. With more consistent wind and chop, the bite shifted more heavily to the main lake deep water sand breaks. Jig and minnow combos worked the best in 20 – 30 ft where the bite pulsed between good to great. 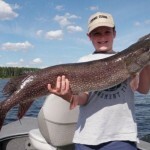 For the week, we had 39 walleyes over 27 in., including 14 – 28s, and 1 – 29. 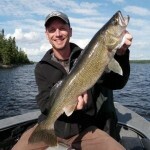 Volume was very good with guide sheets averaging 35 walleyes per day over 18 in. The highest daily total was 57. 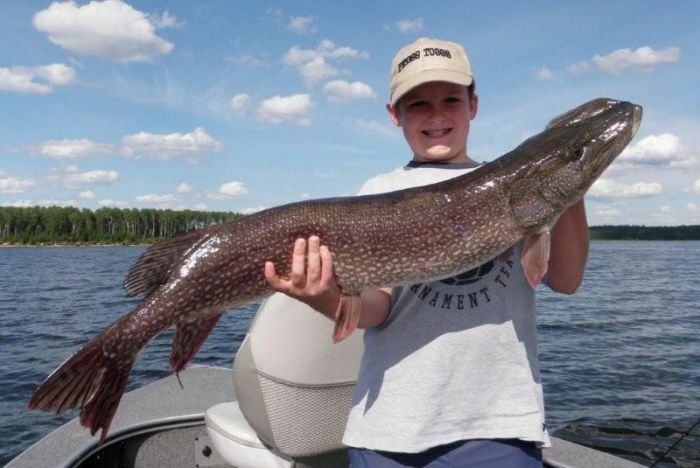 We had a few groups casting for pike this week and they caught a few big ones, but there were also quite a few big incidental fish caught by walleye fisherman. For the week we had 7 over 38 in., including 1 – 40, 2 – 41s, and 1 – 42. The bass were random catches while walleye fishing, but we did add 2 -18s and 1 -19 to the stats. 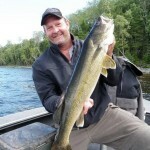 MW – “If a Musky fisherman went walleye fishing, this is how he would want to do it. It doesn’t always work, but when it does, it is a rush!